Oh Christ, another disasterous tour, what horrors will they unleash on us now. I'll go and get the barf buckets ready. Not a good comparison to make - does anyone remember Diana sitting alone in front of the Taj Mahal looking sad!!! It's certainly getting off to a good start - the communique announcing this has the the wrong date!! I can totally see Waity sitting in front of the Tai Mahal looking like this. She's not going look like that on the tour she will be Botox and fillers to the max. The Duke and Duchess of Cambridge to visit India and Bhutan in April. Doubt they'll take the children as it is extremely hot then. Yeah I almost feel sorry for waity first maxima and now her? You know, I wonder if whether or not this will be followed by a fawning documentary; their first two tours were followed up with a drooling documentary, but the Australian one didn't get a follow up documentary and I am surprised that Kate is being able to go on this goodwill tour. I have no idea why it's so needed, but she's going on one Caribbean tour with William early 2016 and now this tour of India. I think it's a bad idea since Kate neglects her British citizenry and the charities related to them. Reinforces my view that WK are more interested in being global players rather than British royals. India isn't even on too good terms with Britain over the issue of the Koh-I-Noor diamond and it's not like any major trade deal has been sealed. Ooohhhh, sounds snippy; is Tanna no longer a toady of theirs? 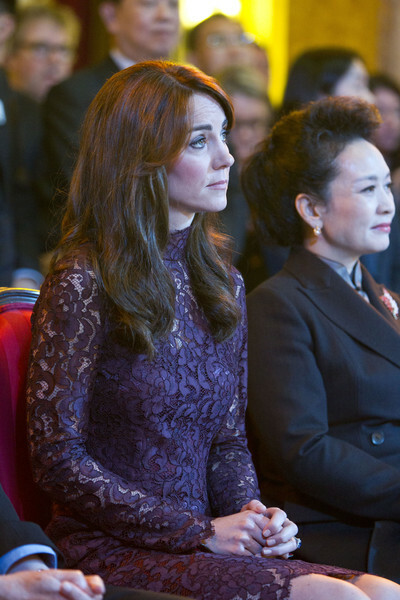 I'm sure the Kate fans will say Her Majesty Queen Jetsun Pema was intimated to be standing next to Kate just like they said with Queen Maxima . Is the British government going to try to get India back in the commonwealth and rebuild the empire? There's no logical reason for them to go, there are dozens of places for the couple to go in the Commonwealth and a lot of amazing towns and cities for them to make appearances in. May I point out that India is in the Commonwealth. It never left as it went from being an Imperial state to an independent and republic member state at the time of Independence. India hosted the Commonwealth Games in 2010 and it hosted CHOGM in 1983. India, the world's largest democracy is strongly supportive of the aims and ideas of the Commonwealth and takes it role as a major player in that organisation very seriously. It is quite common for royals to make visits to India - Andrew and Edward have both been there in the past couple of years. This would be the next big Commonwealth tour for William and Kate after Canada, Down Under and the Caribbean. They have done some of the Commonwealth countries in Asia and the Pacific and will soon add the Caribbean nations and then India leaving only all the African Commonwealth countries. The Commonwealth has way more republics as member states and even has a number of nations who were never members of the old British Empire these days. Royals undertake these tours at the invitation of the country being visited and at the request of the British government. It isn't a matter of the royals concerned deciding to go but this is what they are expected to do to cement relationships between the nations. As for the Koh-I-Noor - two Indians are making a claim in the British High Court but that isn't the nations arguing over it. It won't affect relations at all and both sides will accept the court ruling as the British government and Indian government believe in the rule of law. News of the Caribbean tour has gone very quiet... is it still going ahead? I've not seen an official announcement on that one but maybe I missed something? The case is before the British High Court not an Indian court. As the diamond was 'gifted' to Queen Victoria India can only ask for it back not put a case in their own courts as the diamond belongs to Britain now (as part of the Royal Collection it belongs to the British people). Getting it out of the Queen Consorts Crown is not necessarily the end demand anyway - an acknowledgement that it belongs to India and it on 'permanent loan' to the British Royal Collection could easily be an acceptable compromise. A lot will depend on any documentation around the actual 'gift' that indicates it was in reality 'stolen' rather then a true 'gift'. These legal documents are often full of contradictions and equivocations making it impossible for lay people to fully comprehend them - particularly in the 19th century. Someone that is born a princess is & it is their title than they are a princess by their own right so they are called Queen (Elizabeth II "England" & Sofía "Spain") when/if they get to the thrown. If someone is born a peasant (Kate, Leticia) or commoner (aristocrats) that marries higher than their statues they are under the Queen Consort & the husband titles it is not their titles when marrying higher. Lady Diana that was her title because she was born with it & is in her family to be given to her. When she married Prince Charles she became Princess Charles of Wales, Diana Princess of Wales, Diana Duchess of Cornwall. Those are not her titles so she has her name in front of the titles or her husband name in it, same thing if she had became Queen she would of been called Queen Consort. But since she divorced her husband titles were all taken away & so she was called again Lady Diana since that were hers to begin with. Now those titles belong to Camilla who is Princess Charles of Wales, Camilla Princess of Wales, Camilla Duchess of Cornwall & one day Queen Consort. Katherine is Princess William, Katherine Duchess of Cambridge, (if the marriage stays long enough she will be called) Princess William of Wales, Katherine Princess of Wales & one day Queen Consort. Same goes for the peasants those are not their titles if they divorce they will be again their names with no titles just peasants again with a lot of money from the divorce.